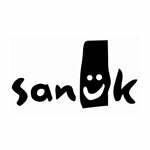 The Sanuk Vegabond Yogi Men's Sidewalk Surfers. Intoxicatingly comfortable. Beer Cozy inside! Featuring New Drop in Yoga Mat Footbed with EVA Midsole!